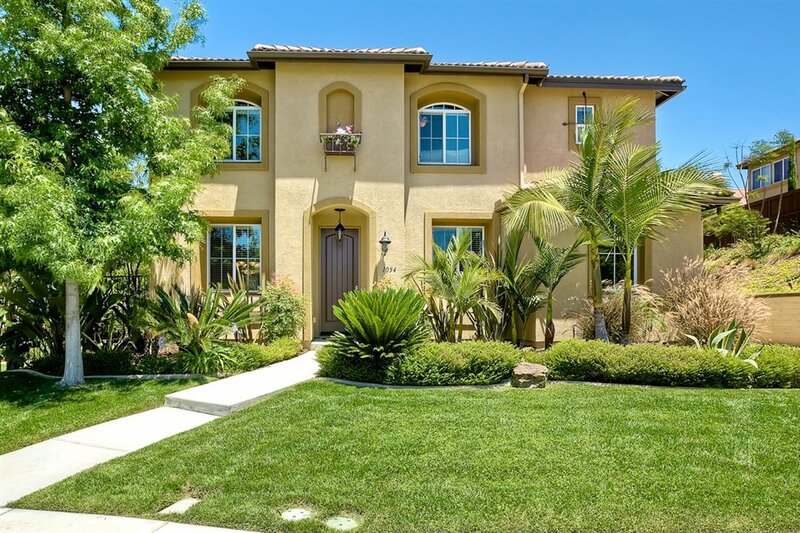 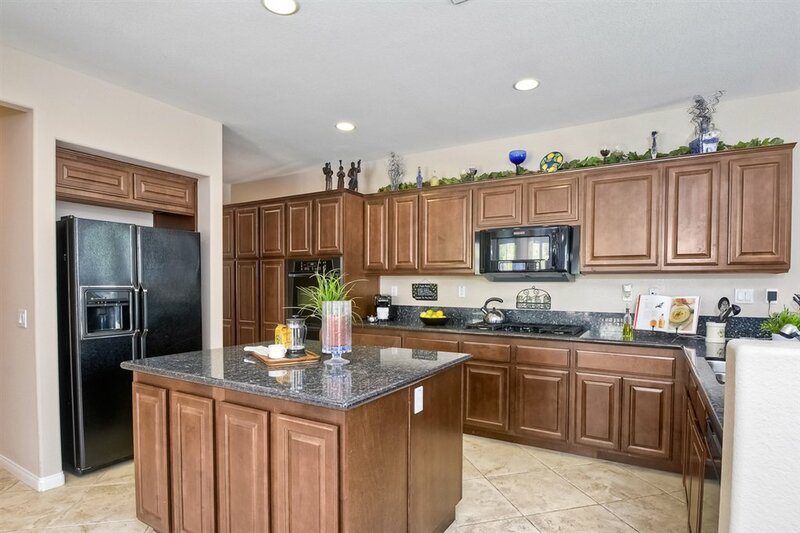 A gorgeous home awaits you both inside and out with this one! 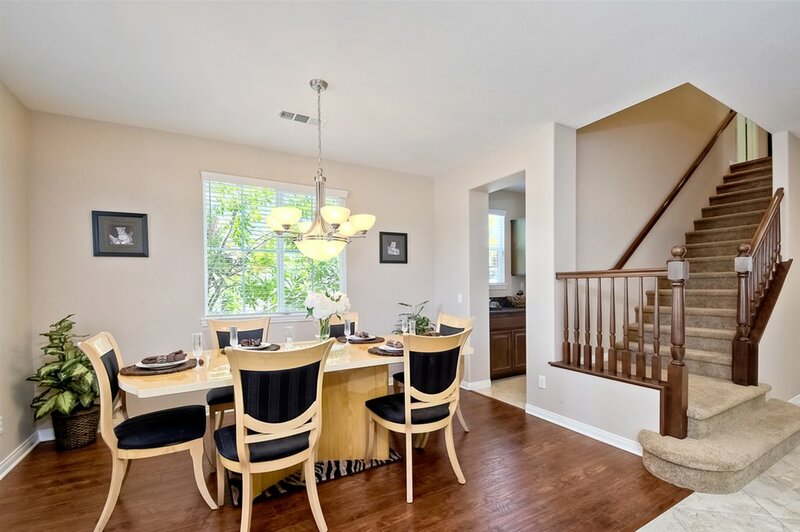 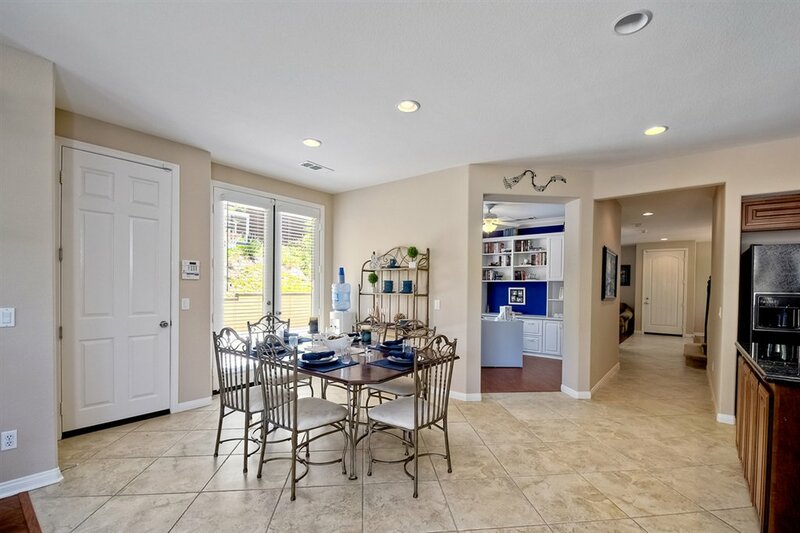 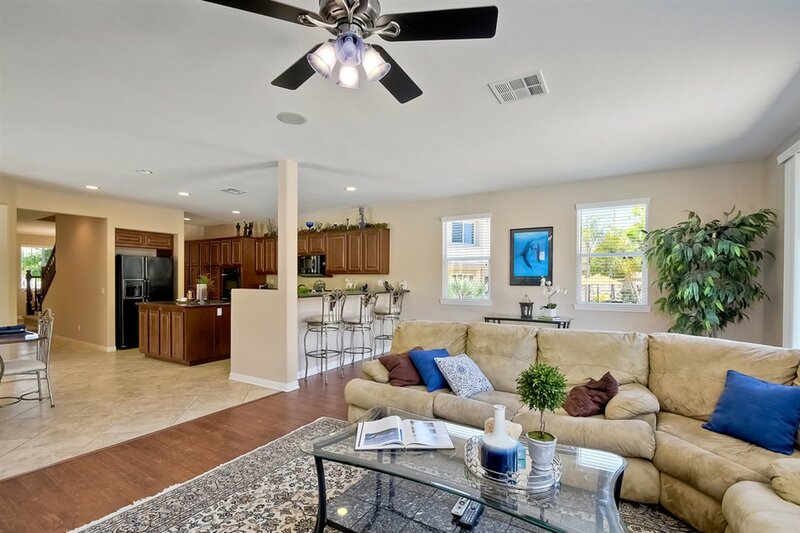 Formal Living and Dining room for entertaining and then a HUGE open Family room, Kitchen and eating area welcomes you. 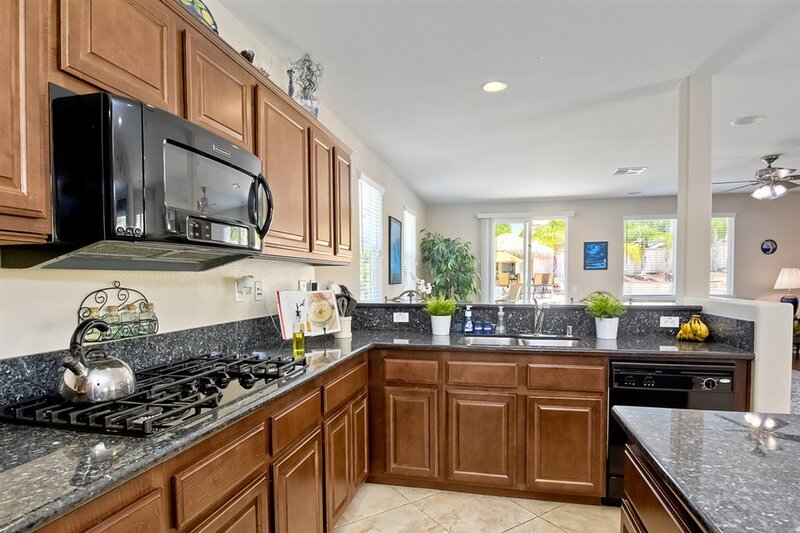 Granite counters in the kitchen with large island, surround sound in the family room with a beautiful stone faced gas fireplace for the cozy touch. 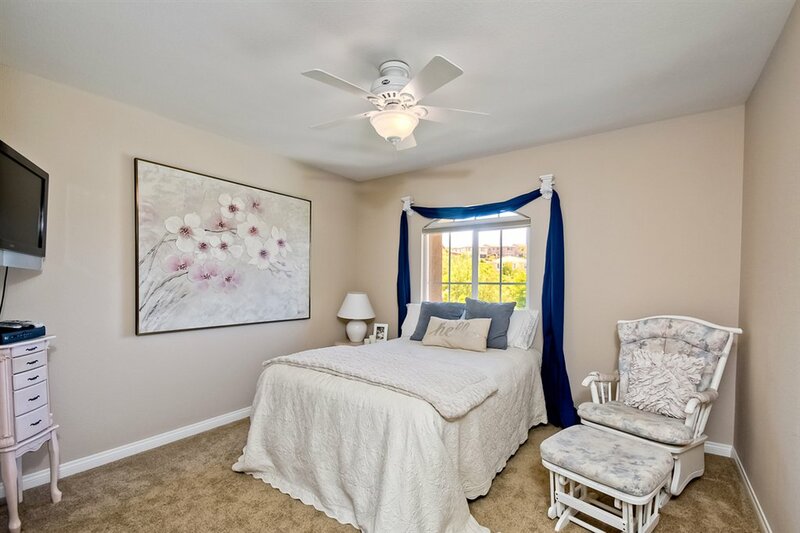 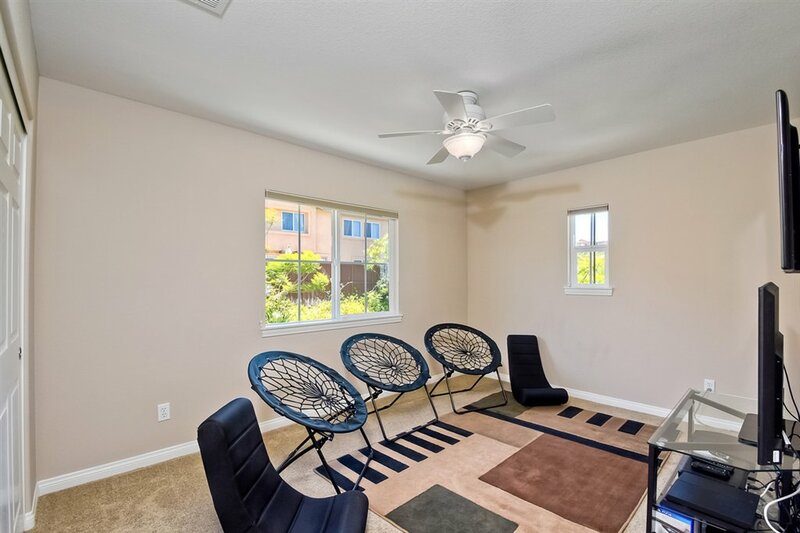 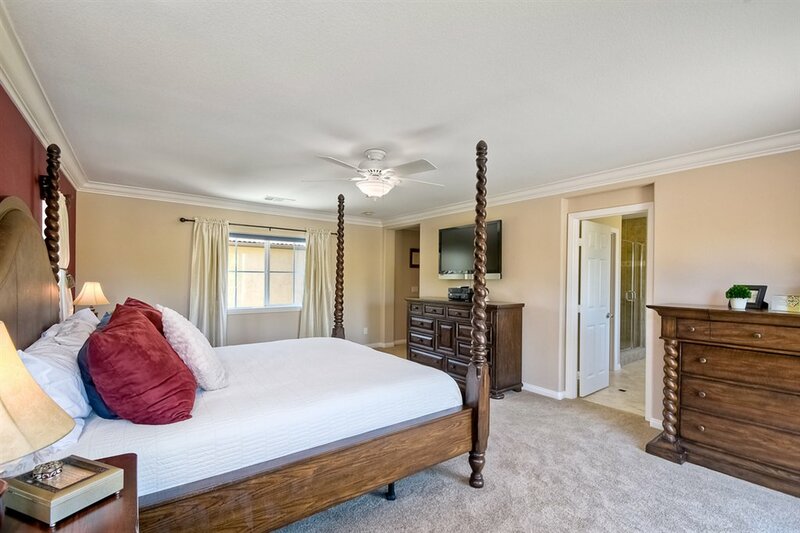 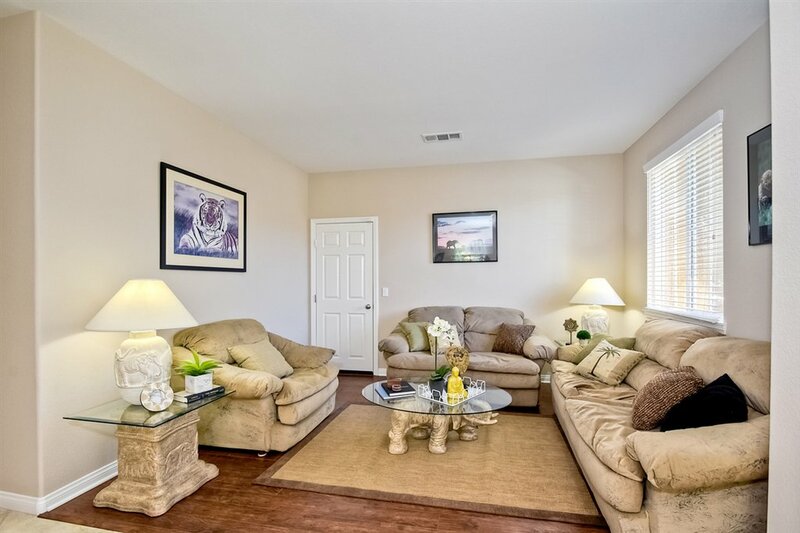 New carpet, paint and flooring with ceiling fans throughout make for a cozy and welcoming environment. 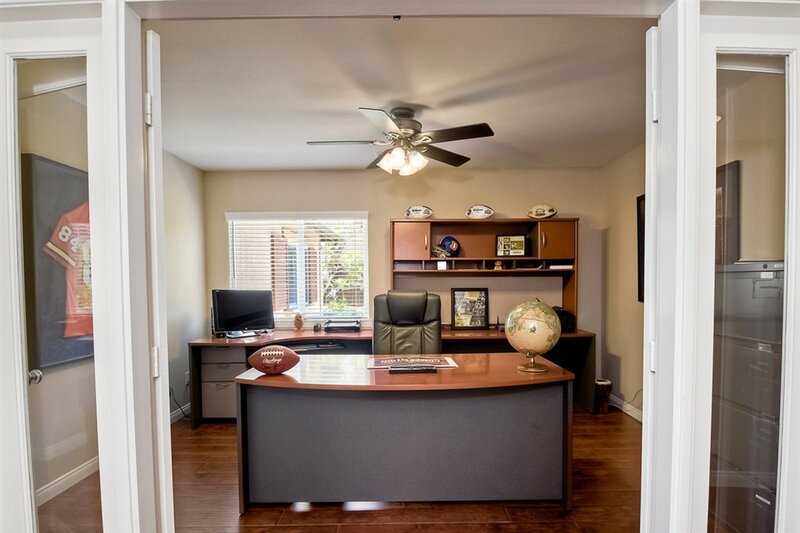 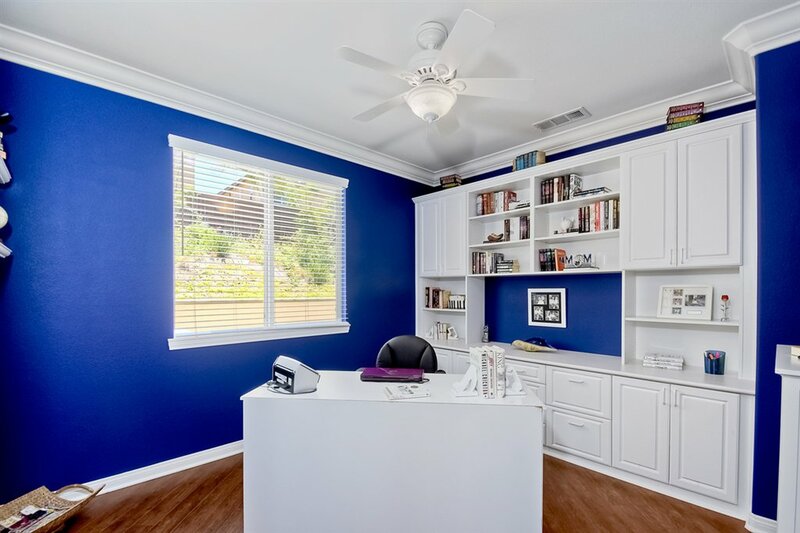 A downstairs office with crown molding add a professional touch as you work near the family. 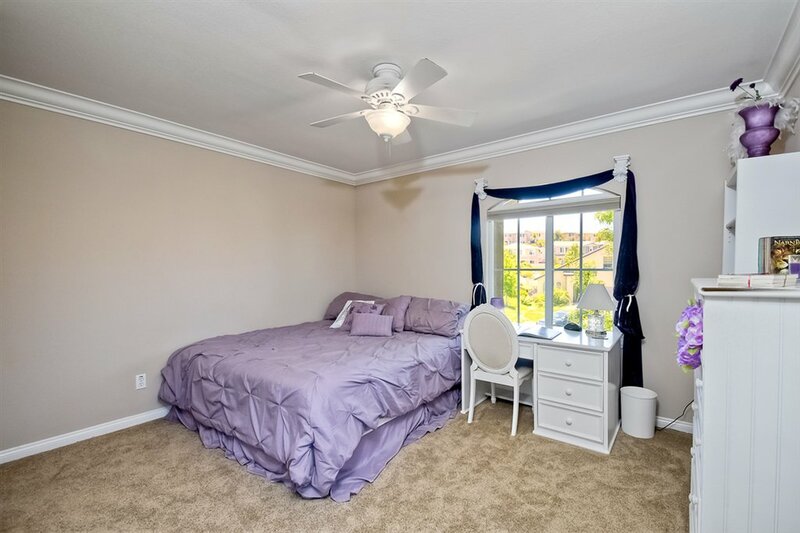 Upstairs you will find an even larger office with glass French doors, a large laundry room with built in cabinets & laundry baskets. 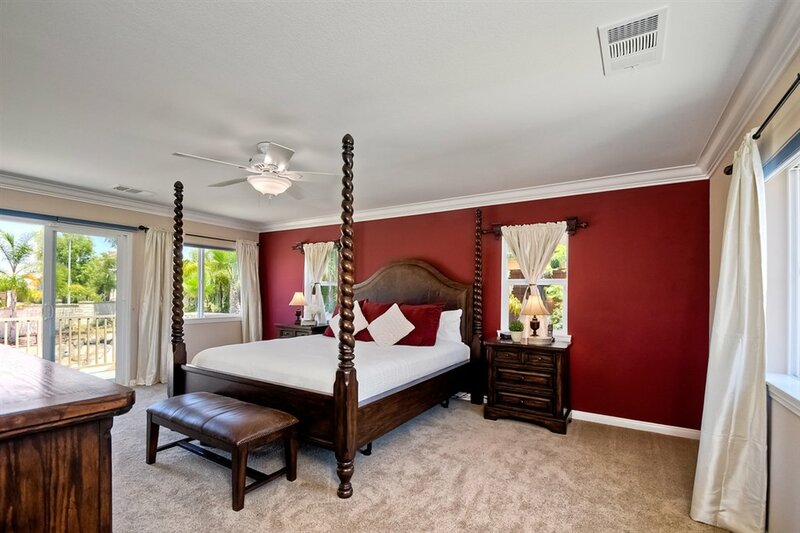 3 of the 5 bedrooms are suites offering private bathrooms - perfect for guests or teenagers. 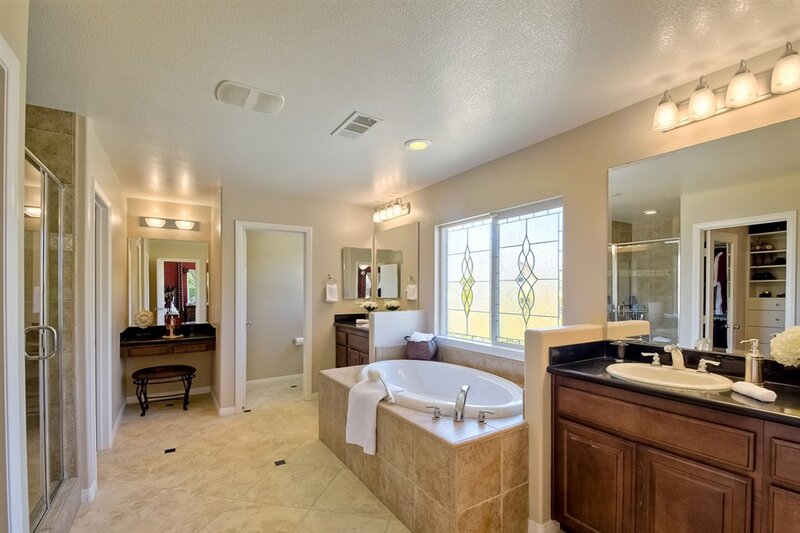 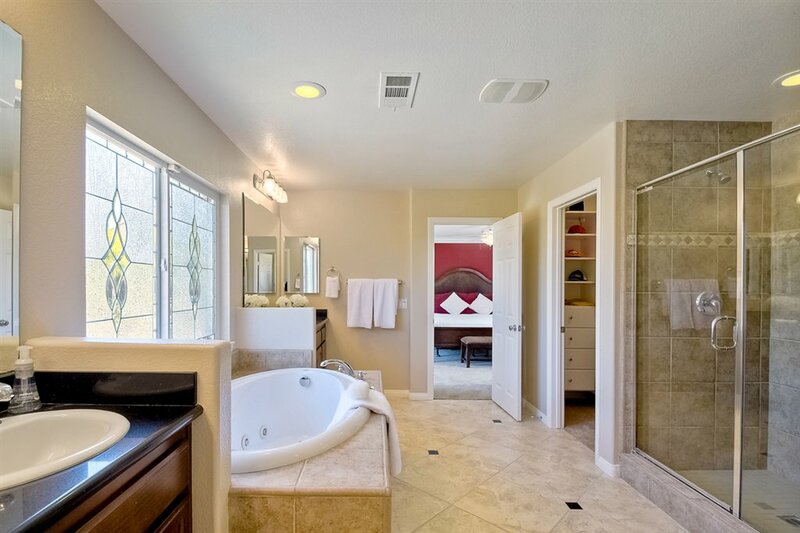 The over-sized Master Suite has a Jacuzzi tub, separate California mirrored closets and a deck to enjoy your morning coffee as you overlook your amazing backyard. 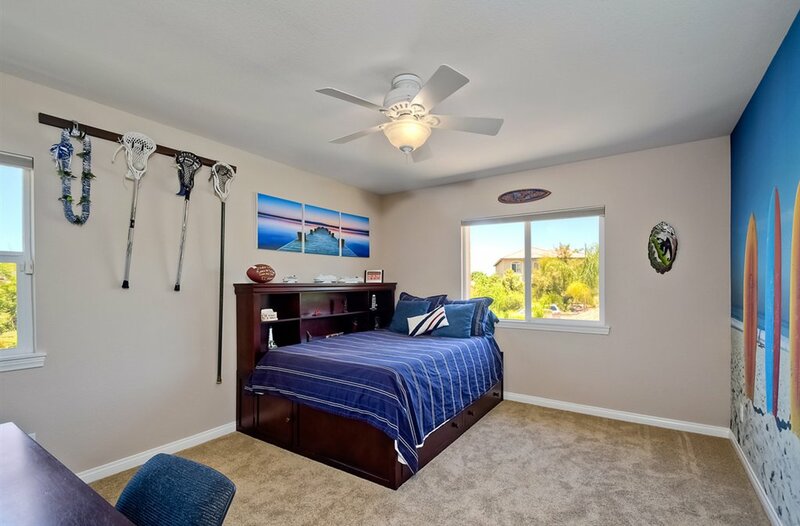 Access to the third car garage from inside the home, built in storage racks in the garage, hot water heater circulation system & Ethernet outlets in all rooms for the tech savvy Buyer. 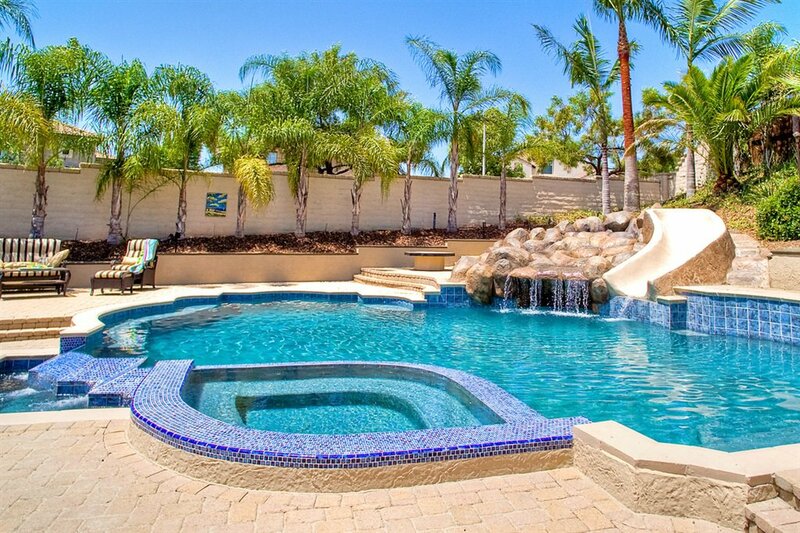 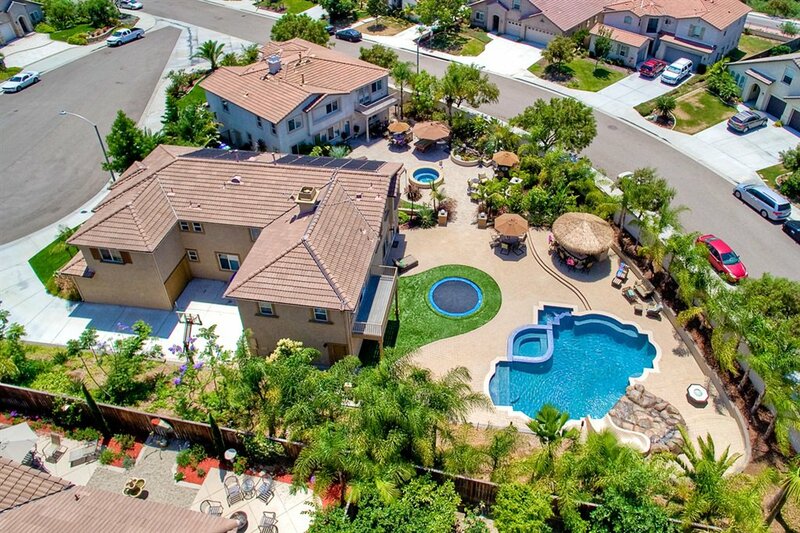 The outside of the home is even better....A large, beautiful pool & spa powered by Solar await you. 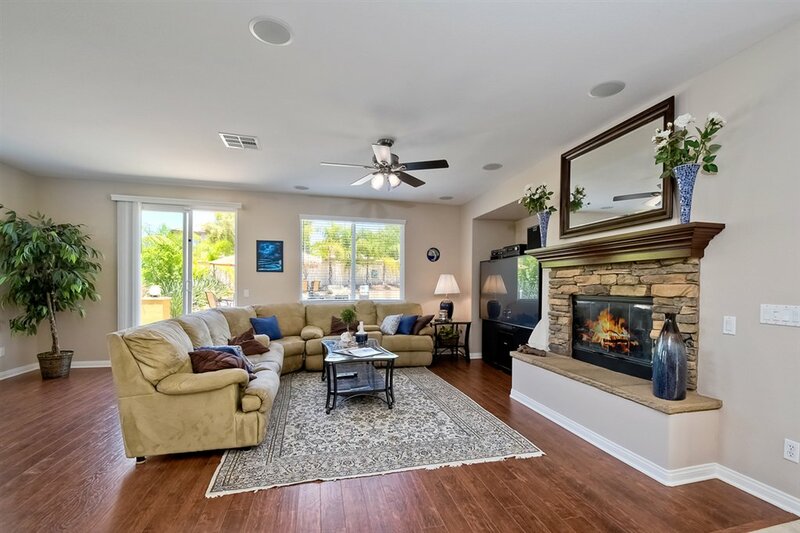 Enjoy time with friends and family as you entertain at the BBQ area with bar and 2 refrigerators under your Palapa watching the game of your choice. 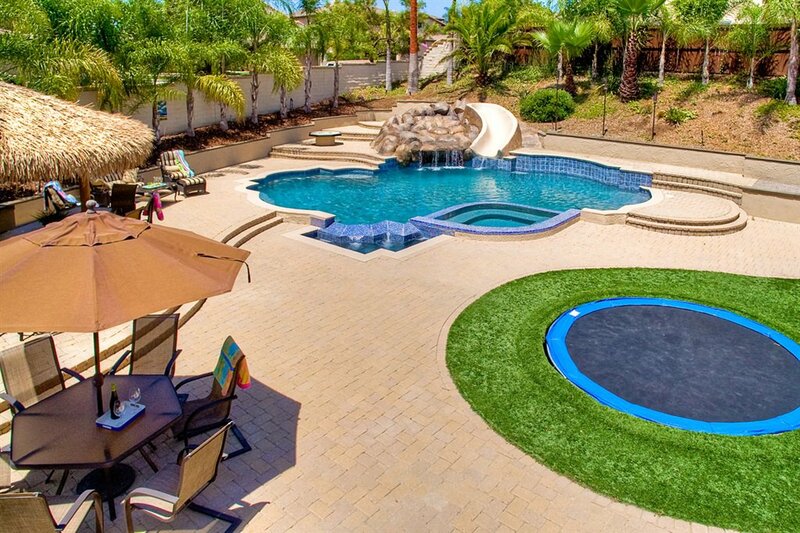 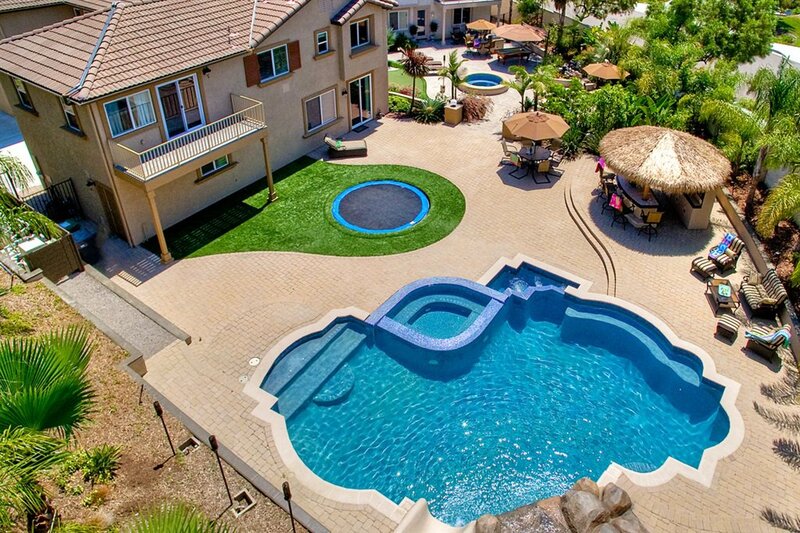 The kids can play on the underground trampoline or the built in basketball hoop or even enjoy a fire in the firepit when the sun goes down. 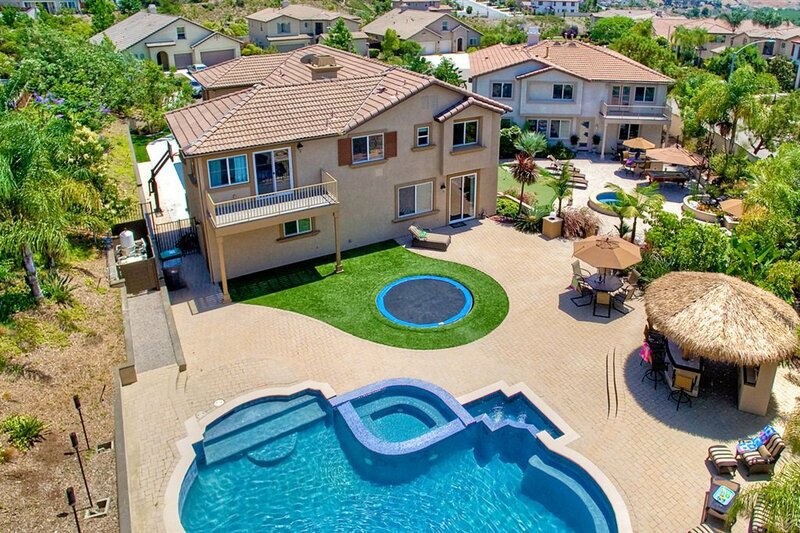 Lush landscaping with brick pavers surround this amazing area.